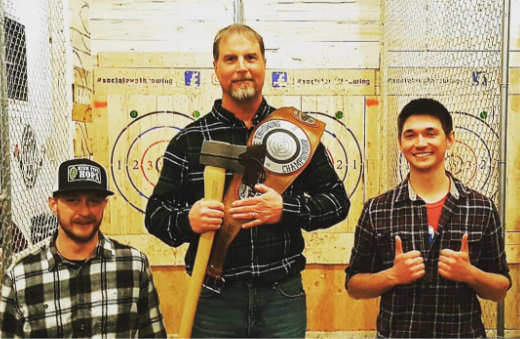 Social Axe Throwing league represents everything axe throwing! We unite on Tuesday nights every season to battle it out for the best in the state! We have 4 league seasons a year in each location. Where each location players will battle it out for 8 weeks to be champs of there house! On week 9 we take the top 12 from each house and battle it out for STATE CHAMP!! The winner takes home our Championship Belt!